We offer you the option to hire a Saltarelle Bouebe so you can try the diatonic button type using a high quality instrument, capable of bolstering fast progress thanks to a convenient design and a rich sound. Instruments hired out on a monthly basis. Accordions are used or new depending on availability. There is no time commitment on renting used accordions. 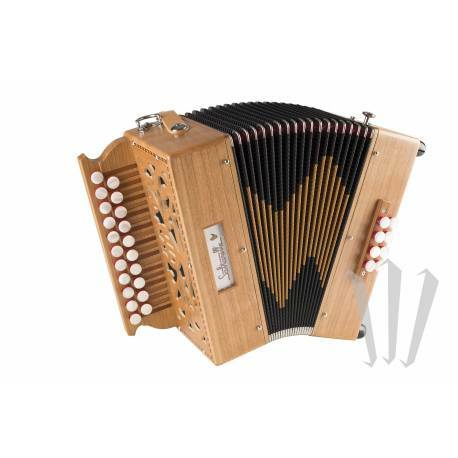 However, should the model not be in stock, you may hire a brand new accordion with a one-year rental commitment (unless you purchase the accordion within that year). 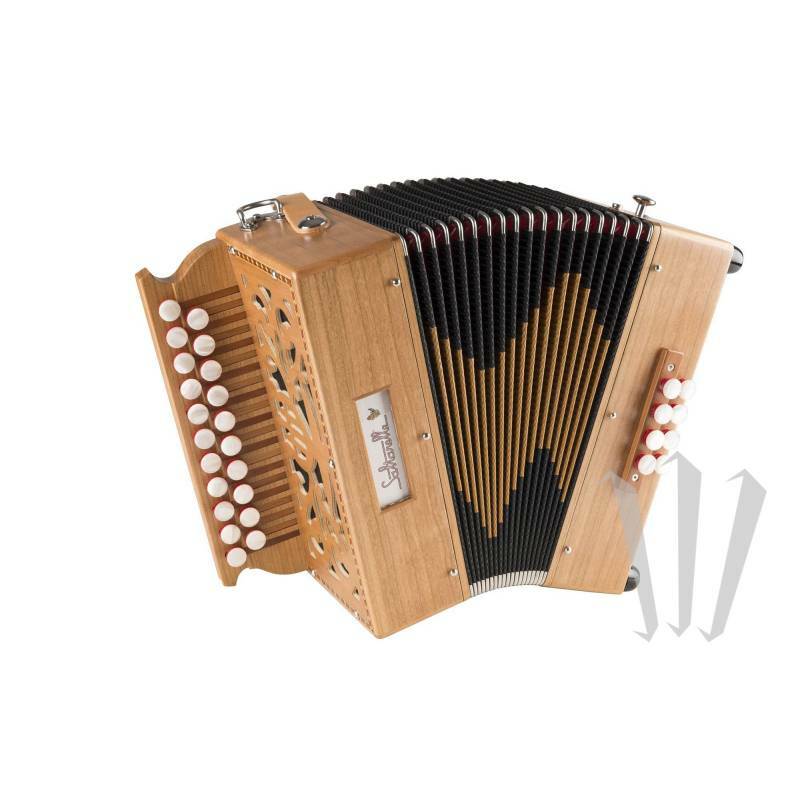 If you decide to purchase the accordion that you are renting, or a superior model, you will get a discount that amounts to 50% of the total rent paid over the previous 12 months. Bouëbe videos: ”La polka du merle”, then “La Bourré droite”.